Daval furniture is our main supplier because we feel that their kitchens cannpot be matched for quality or style. They are also manufactured here in Yorkshire which is a great bonus. We're therefore pleased to let you know that they have created a brand new brochure, featuring all their main ranges plus a guide to storage options and paint colours and finishes. If you are looking for a new kitchen then this brochure is really worth having a good look through. You can request one from us by completing our enquiry form or we can even come out and go through it with you and make some recommendations on what would work well in your own kitchen. Request an appointment here. In the meantime, here's a sneak preview! 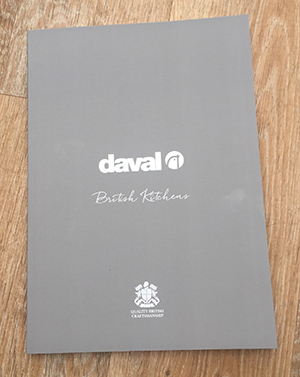 0 Responses to "New Daval Brochure Available"